in-depth look into the latest trends and methods for supervisory achievement. Register today. Guy Winch, Ph.D., is a licensed psychologist, keynote and TED speaker, and author whose books have been translated into twenty languages. His most recent book is Emotional First Aid: Healing Rejection, Guilt, Failure, and Other Everyday Hurts (Plume, 2014). The Squeaky Wheel: Complaining the Right Way to Get Results, Improve Your Relationships and Enhance Self-Esteem (Walker & Company) was published in January 2011. His TED Talk, Why We All Need to Practice Emotional First Aid, has been viewed over 4 million times and is rated among the top 5 most inspiring talks on TED.com. Dr. Winch received his doctorate in clinical psychology from New York University in 1991 and completed a postdoctoral fellowship in family and couples therapy at NYU Medical Center. 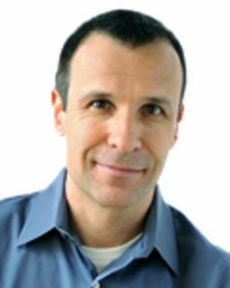 He has been working with individuals, couples and families in his private practice in Manhattan, since 1992. He is a member of the American Psychological Association. for 17 years with the Columbia Police Department in South Carolina. He retired in 2008 to pursue his passion of teaching. He has been an instructor with FBI-LEEDA since 2009. He has a Master's degree in Public Affairs and is a graduate of the FBI National Academy (Class 172) and LEEDS. ​Chris is a passionate mental health awareness advocate and law enforcement suicide prevention trainer. Chris has lectured extensively throughout North America, where his moving and impactful presentation has served to create awareness and promote prevention. Randy is the President of SRW Strategic and Tactical Special Operations Training and Services (SRW, Inc., www.srwsplops.com), a private corporation he started in 2006. He retired from the Ogden Police Department, Ogden, Utah, in October of 2011, where he was serving as Assistant Chief of Police, and where he had served for 32 years, having worked a multitude of assignments and at all levels of supervision and leadership. Chief Watt is a recipient of various medals and commendations, including the department’s Medal of Valor (twice awarded). Chief Watt has extensive training and experience in tactical operations, ranging from high-risk warrant service to hostage rescues.